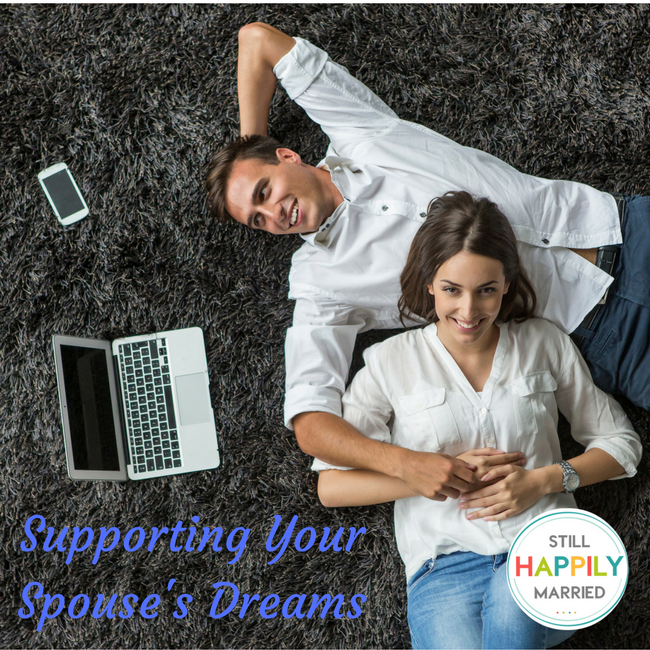 From the day we married, my husband has often been challenged in the area of supporting your spouse’s dreams. He has frequently dealt with my many crazy ideas and my constant chasing after the next big thing. We married while I was still a sophomore in college, therefore financially he has supported me through college followed by seminary. Because so many of us find ourselves matched with our total opposite, there is often a dreamer and a realist. I bet you can guess which is which in our relationship. The realist often finds themselves wondering how to deal with their spouse’s crazy ideas. It isn’t always easy to watch your spouse chase after yet another rabbit trail or invest in another bright shiny object. From joining several direct sales businesses to launching blogs and self-publishing books my husband has stood behind me as an often silent, but strong support. So how exactly does this happen? How does one walk in the path of supporting your spouse’s dream? Honestly,you must realize it doesn’t happen overnight. It sure didn’t for us. Much like the many years it took for me to feel successful in my business, there were the close to the same number of years that my crazy ideas took to grow on my husband. After all, he used to think that the work I do online, which earns half of our income was me “playing on the computer”. If you are feeling pressured to support your spouse’s dreams, remember this first: don’t give up, or if you are on the receiving end waiting for your spouse to support you don’t worry, it can happen. Many times, whichever side of the situation you are on, you don’t understand exactly how the other person feels. It can make things difficult, but that’s when you also have to remember this . . . 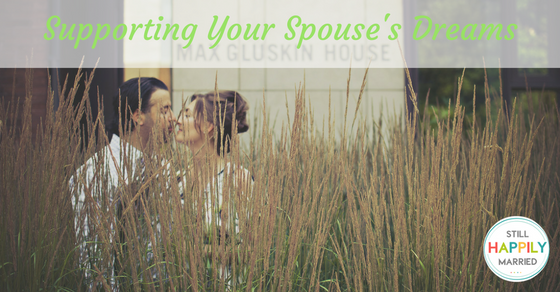 Realizing that good things take time, you have to cut your spouse a little slack. You may think they have totally lost their minds and they may feel like you are not listening. That’s why you’ve got to back up, take a deep breath, and remember to show your spouse love and support no matter how difficult it might be at the time. It will be worth it. Alyssa is a Christian mom blogger and published author who loves helping moms with parenting, work at home tips, projects for the home, and matters of faith. She, her husband (Greg) of 16 years and her three precious children call the Deep South home.